In Part 2 of this interview describes Wes’ training in Kuntao and Silat, Catch Wrestling and Boxing and traditional weapons training. TB:. Tell us about your Kuntao and Silat training with Willem de Thouars. WT: As I said earlier, I first was exposed to Willem de Thouars in 1994. Initially I studied his system under one of his then top students, Roberto Torres, for about three years. 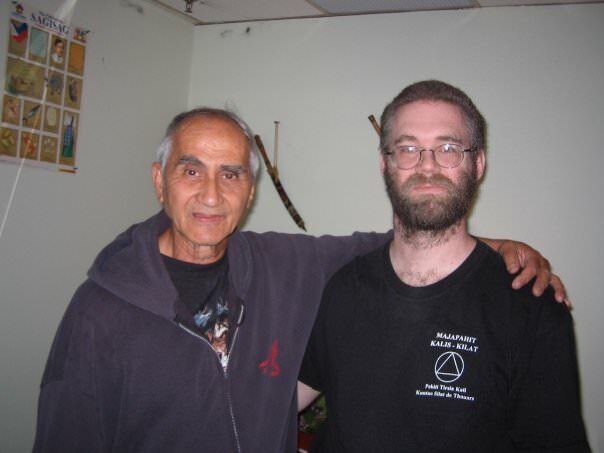 After that time Roberto went on to do his own thing and I wanted to continue with the traditional training in Silat and Kuntao, so at that time I started working directly with Willem de Thouars. I finally teased out of Willem that he teaches six different style of Silat and two different styles of Kuntao, one of the Kuntao styles being a Ba Gua system. So instead of learning Willem’s arts as a ”big mixed up salad bowl,” as he calls it, I really tried to pursue each system, especially the other Kuntao system that is a mixture of northern Shandong and southern Fujian methods and Tai Ji, Ba Gua and Xing Yi. It is a very cohesive system. TB: And a big part of that is doing a lot of hard foundational training? WT: Yes the Ji Ben Gong type training we did for the Kuntao consisted of holding a lot of low stances, arm pounding, different iron palm methods. Some pretty…… well, with my experience now learning Nei Gong, I can see that a lot of the Nei Gong he taught was very martially oriented. The packing of Qi in the arms and creating a lot of heat in the body, things that might not be healthy to do a lot of. The method of training itself was very hard… a lot of contact. TB: I think you said once that it as a bit like things you see in a typical Kung Fu movie. WT: (laughs) Yes it was. Things like sitting in a low horse stance with a pole across your thighs and it couldn’t roll off onto the floor. One seminar he gave in traditional Kuntao training, we started at 6 pm ended at 4 am and started again at 6 am. That first part at night was all things like horse stance training until your legs gave out and then you could stand on one leg to rest. TB: So I guess the question is, do you feel you got something from that training other than just developing the will? How essential is some kind of element like this in training? WT: I think it is very essential. I feel very fortunate that when I met Willem I was 23 and in good condition so I was primed to do that kind of thing and not completely wreck myself. I think it very much ingrains the patterns in your body for doing these kinds of forms, keeping good structure, and mechanics and getting the right kind of power generation. It kind of “burns it in,” so to speak. TB: And when you teach older people do you need to modify this kind of training for them? WT: Yes I modify it, but only just as much as I have to. Obviously you don’t want to do something that damages you, but a process that makes you hold that kind of structure and conditions you is important. TB: Can you tell me more about what training with Willem de Thouars was like? WT: (Wes laughs) Hard. Especially when he realized we were serious about training. I would organize a seminar and then he would stay extra days and put us through the kind of basic training you see in Chinese movies. Horse stance with thighs parallel to the ground, punching trees, conditioning drills, stance movement training while holding up rocks. A lot of Ji Ben Gong (Foundational Training) or, as he called it, pung cha ti (punch block kick) training. The way he would teach forms he would teach a bit at a time, separate out the movement and then drill applications, usually on pavement outside at 4 am. Then you could learn another section of the form. You also had to be very attentive because he would wake you up at 2 am to train and if you did not get the form, you might not see it again. He would also ask you about something he showed you 6 years earlier and if you could not remember it he would say, “no problem,” but you would probably never see it again or hear it expounded upon. If you could do it you might get the rest of the form or be treated to a deeper understanding of it. TB: So the learning process was not linear? WT: Oh No! (laughs) In fact, the way I organized the Kuntao curriculum, it is very organized in terms of conditioning and Ji Ben Gong and forms. That is not how I learned it. In fact some of the more basic building blocks I actually learned that last, and then only because I pressed Willem about the training method. TB: Let’s deviate a bit. You studied Boxing and Catch Wrestling, which are not “traditional” martial arts in most people’s thinking. Tell me about your training in those arts and how you feel it fits in with your other training. WT: One of the things I like about these arts is that in a very constrained way you are forced to perform with instantaneous results. Either it works or it doesn’t. The way I looked at it was, within the confines of let’s say boxing, I could play with mechanics and movement, but it forced me to be in the moment and under friction. While I studied Catch, I went to a wrestling club where I learned Greco-Roman and Folk style wrestling. Catch is not just about holds. You also have to know how to wrestle. Again in the wrestling, there was that element of applying things full-out against someone who wants to apply those things against you. So that was very important in my development, but not a be-all-end-all by any stretch of the imagination. 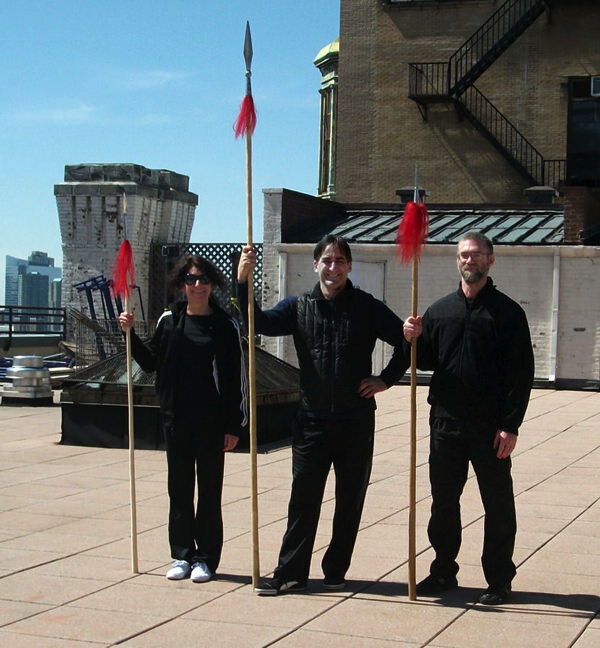 TB: It is not uncommon for people who did traditional martial arts training, and then go on to box or wrestle, to stop traditional training because they feel that arts like boxing and wrestling are more effective for self-defense and “real” fighting. What are your thoughts about that and why do you continue to train in traditional martial arts? WT: Well… self-defense is not really a big concern for me, especially now. But even when it was more important in my life, I feel that Boxing and Catch are very good in the ring and people tend to translate that to them being good on the street or for self-defense. But traditional arts have a lot to offer. Actually training in Boxing and Catch illuminated for me some of the actual profundity of self defense within traditional martial arts. Also Catch and Boxing can be very limiting in terms of racking up damage (laughs). TB: You mean to damage to oneself? WT: Yes damage on oneself, because of the training method. In part because it is a bit myopic. You’re training to win the next thing, not to get punched, to punch the other guy, not to get hooked, to hook the other guy and that just builds up many injuries over time. I saw a lot of people get busted up and now in my clinic I see a lot of MMA fighters with chronic injuries. TB: Now you did get a fair amount of “street” experience when you worked in loss recovery. How did this influence your ideas about martial arts? WT: I mainly used traditional arts in those situations. A lot of the confrontations were filmed, so I got to review them. Almost always what came out was traditional Silat and Kuntao arts that I was doing at that time. I learned two important things. One, that there was validity in those arts. And two – I may not be able to articulate this clearly as much as I would like to – that there is something in the way those arts are trained that makes them effective, without necessarily having to put them in a scenario-based bang-em-up, everybody has to get injured every time you train. There is something that just comes out. It is not magic, and just because you train in them does not mean it will come out without doing some of the other kinds of training we are talking about, but there is definitely something there. TB: So do you have any advice for people learning traditional arts? WT: I think if you are learning a traditional or classical art, focus on the foundational material. It is so essential and well… foundational, that if you rush through it, then everything else you learn is not going to have the real core that makes it work. If you really inculcate the foundational things, then once you learn the advanced forms and techniques ….. well, everyone to a “T” that I know… comes to realize that it is all contained in the fundamentals. You are just coming around to see it from another, more experienced point of view. TB: You practice traditional weaponry. Why? People might say it is not practical. WT: Again, it relates to why you train. I think the traditional weapons almost always come from some kind of internal mechanic that carries through no matter what. If you are talking about something like, let’s say, the Japanese sword, these people had to be able to use it in battle, which meant fighting over a long period of time. That meant they had to develop some kind of internal mechanic in order to do that. This idea carries over to a lot of other things. I think also when people say, “what good is it [training traditional weapons]?” Most people I know who do martial arts cannot exist long in the arts when combat is the prime reason for training. It is no way to live. Obviously that is not why I do this stuff. As a cultural examination, as a way to improve your hands and body method, as a way to look at strategic principles, yes. For example, there is a lot lower margin for error in Broadsword work, then in empty hands. TB: What is your favorite weapon to work with these days? I mean you have done a lot of weapons training between all the Japanese weapons, traditional Chinese weapons, Indonesian weapons and also the Filipino styles. WT: What I really like are the spear and the broadsword – both the Dao (Saber/Broadsword) and Da Dao (big Saber), because I feel like there is a real connection between efficacy of use, strategy… which is fun and also improving the shenfa (body method) of my empty hand. In Kuntao, I learned these weapons originally from Willem. We learned sets of basics and then drills to use them. And that system is really interesting because one of the early forms is the template for all five weapons – Dao, Pu Dao (horse cutting saber), spear, staff, and straight sword (Jian). You learn the form first with empty hands and then it is done with all five weapons.